Build your own LEGO E-ELT! On 19 June 2014 construction work for the European Extremely Large Telescope (E-ELT) started in the Chilean Atacama Desert. It began with blasting off the top of Cerro Armazones, the future construction site of the world’s largest telescope, to create a flat surface for the future telescope. Although work has already begun the first light of the telescope — which has a main mirror with a diameter of 39 metres — will not be before 2024. To accelerate the process, at least in some sense, Dutch astronomer Frans Snik has spent several months of his spare time designing his own E-ELT. Except this one is made of LEGO© bricks! Snik used design tools ldraw and bricksmith to build a model containing exactly 5274 parts ordered from bricklink. 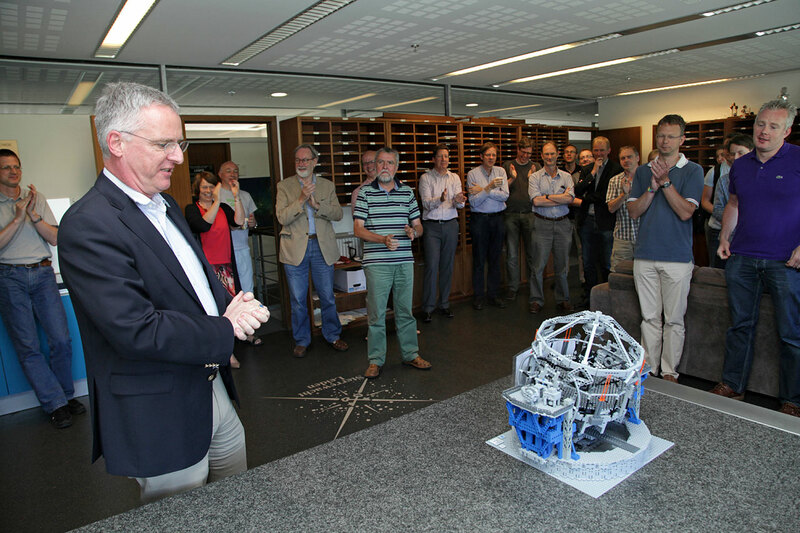 The total cost of the model, which has a scale of approximately 1:150, is about 600 euros. Using a detailed construction manual and a list of required bricks — both provided by Snik — anyone can now build their own small version of the gigantic telescope. The path is set for any LEGO master builder to construct the model and the best part is learning how the novel design of this amazing telescope will actually work — by building it! However, one should be willing to invest some time to build the biggest telescope in the world as it takes a few days piecing the model together. The final product can be pivoted in both directions and contains an incredible amount of detail. 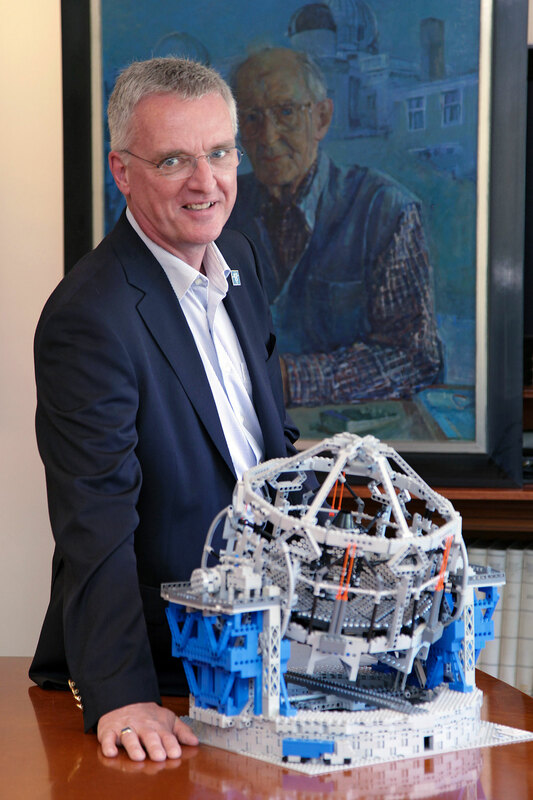 It includes all five mirrors of the real telescope, the instruments, the laser guide stars and a LEGO truck, which is to scale along with the rest of the model. 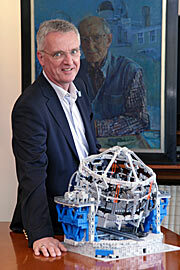 The first model built by Snik was donated to ESO’s Director General Tim de Zeeuw. 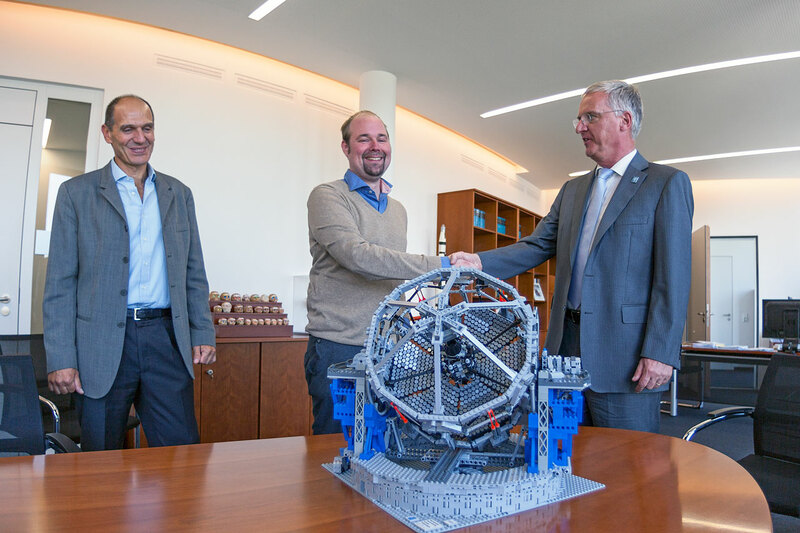 A LEGO E-ELT will also be on display in the upcoming ESO Supernova Planetarium & Visitor Centre at the ESO Headquarters in Garching, Germany from 2017.